Here is the 24th Annual Year in Review! Here’s my 2016 Year In Review for South Boulder. You’ll find facts and figures here of South Boulder single family home sales in 2016 as recorded by IRESIS, the Boulder Area Realtor® Association’s multiple listing service (MLS), including information specific to fourteen South Boulder neighborhoods. What will happen to the South Boulder real estate market in 2017? The market is starting to show signs of slowing. Even though our real estate market is strong right now, there are several data points indicating a shift, including; the rate of appreciation and time on market. With rising interest rates and four years of strong appreciation, which has been the length of all our previous appreciation cycles over the past 40 years, it wouldn’t be a surprise if the 1st and 2nd quarters in 2017 are the last of this appreciation cycle. How does Boulder’s market compare around the region and nation? According to the most recent statistics kept by the National Association of Realtors® (NAR), of the 180 metropolitan statistical areas watched by NAR, 86.7% experienced increases in their median sale price from the 3rd quarter 2015 to the 3rd quarter 2016. Nationally, the median price rose by 7.6%. The Palm Bay/Melbourne, FL area saw the largest gain, up 18.7%, while the Binghamton, NY area dropped the most with a loss of -7.6%. Boulder County came in 3rd best in the nation with a 14.7% increase. To see how South Boulder and it’s neighborhoods compare, check the statistics above to the information below for some of Boulder County’s other communities, as well as other Northern Colorado Front Range communities. It’s clear that Steve sell’s substantially more South Boulder homes and sells the homes he has listed for closer to the asking price than any of the other top 10 Realtors®. Over the last twenty years, the difference is pretty dramatic and can have a huge effect when you sell your home. Consider that a difference of just 1% closer to the asking price, calculated at our average sale price in South Boulder of $818,729, is equal to $8,187 more that his Seller’s obtain when they sell their homes with Steve! Steve Altermatt sold 23 homes in South Boulder in 2016! Steve specializes in South Boulder home sales. He pays very close attention to the details of our market so he can provide his clients with a decisive advantage, whether buying or selling a home in South Boulder. The truest way to measure the effectiveness of a Realtor® to market and sell your home is to measure the success they’ve had working with sellers of homes in your neighborhood. 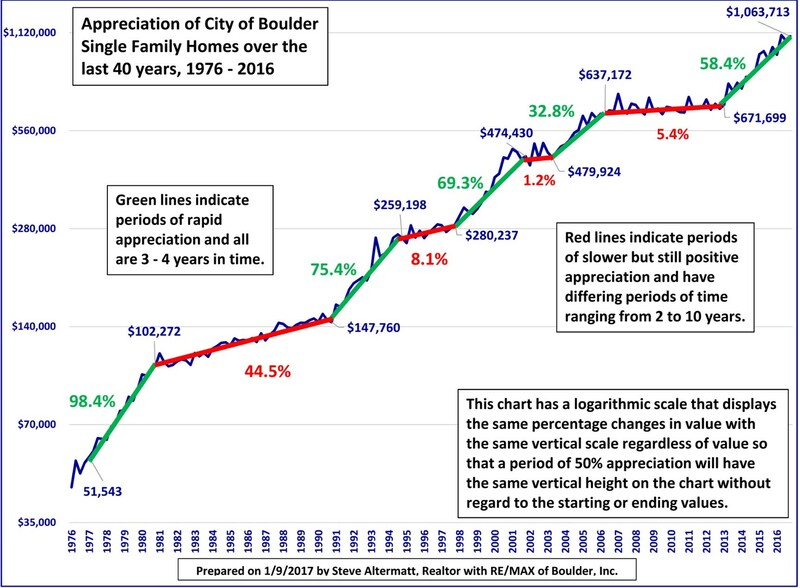 Why does Steve obtain the best results year after year in South Boulder? Steve has specialized in South Boulder real estate and has lived in South Boulder for over 30 years. He has a construction and design background, has volunteered in our community, neighborhoods, and schools, and has raised his family here. This broad range of experience has given Steve comprehensive knowledge of our local real estate market, housing construction, and the inner workings of our neighborhoods, schools, and community. The knowledge and experience he has gained by specializing in South Boulder single family home sales, his hard work ethic, and the sound, honest advice that he shares with his clients is a proven advantage whether buying or selling! Do you get our quarterly newsletter? Click Here to be added to our mailing list (please include your address in the link ‘comments’ section).